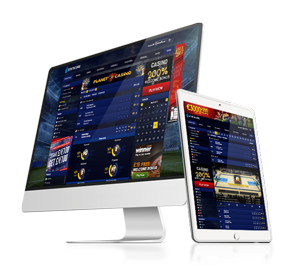 STATSCORE has been built by people who have been involved in the betting sector for many years. We are leading experts and practitioners with a vast knowledge about the industry. We understand very well not only the common needs of bookmakers, affiliation, odds and sportsbook providers but also where their challenges differ. 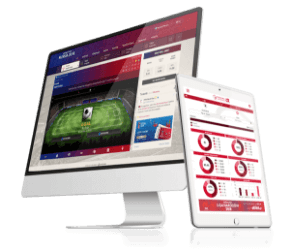 STATSCORE is on the same page as you – we know that your users demand the fastest and the most accurate live sport stats, along with the most breathtaking tools to display them. This combination allows you to offer your clients precious content, while keeping them engaged and stimulated to place more bets. 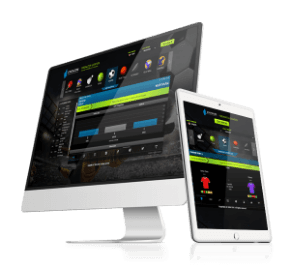 Coming from a betting background, STATSCORE has developed several lines of products dedicated for this market. Creating solutions for betting was a common theme for all of the solutions below – with the aim to help you reach your business goals. An unrivalled source of impressive LIVE and historical sports data for almost 6,000 competitions from around the world. We now have 28 sports, all provided with a unified data structure, available in either XML and JSON and delivered via both PULL and PUSH methodology. Is there any more you could ever need? Our great LIVE feed from venues and via TV is the perfect answer for anyone who needs real-time sports data solutions. Whenever accuracy and the speed of delivery from events matter most, we are there to provide you with a solution trusted by many organizations. What's more – STATSCORE is the official data provider for a bunch of top European leagues! If you want to increase your pre-game turnover from betting, you have just found the right solution. PrematchPro is rich in details and packed with data, filled with stats and pre-match hints. These widgets have all you need to keep your audience interested. What's more – we will provide you with mapping for all events, so your odds will be seen in the right place at the right time. The global numbers for LIVE in-play betting have been rising quickly over the last couple of years. To boost your turnover from match days, we developed a beautiful widget. At the heart of this solution you can find a powerful LIVE tracker presenting all the key incidents with animations. Following a sporting event has never been more exciting. And guess what – we have thought ahead and built all our trackers with a responsive design to make sure that your website looks awesome - no matter what device is used to connect! It is the crème de la crème when it comes to scoreboards. 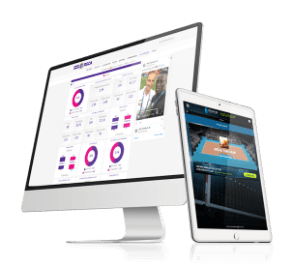 ScoreFrame is a massive competitions matrix that presents 16 sports and almost 6,000 competitions, all in one place. 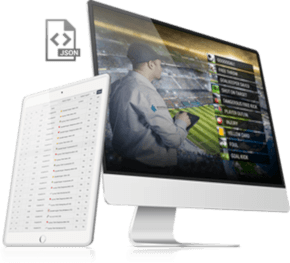 This great livescore solution can come with or without the in-play visualizations and pre-match widgets (Exclusive or Basic version). 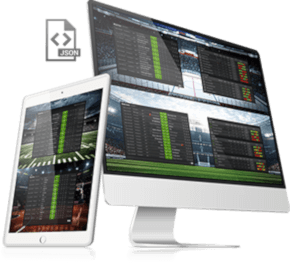 The perfect answer for preventing your visitors, seeking results, fixtures and livescores form sources outside of your website. Take one competition and all the stats from live games and combine them with tables, seasonal data and players' information. What will you get? Something much better than a vintage competition’s printed yearbook. The features mentioned above and the fact fans can interact make LeagueCenter – the online home for leagues, where you can provide users with all the facts they need to make bets on a chosen competition. Like LeagueCenter, this great platform has been built with the idea of bringing all the information that fans are looking for to a single location and place it on your website, of course! TeamCenter provides all the live and seasonal stats for a club, combined with basic competitions’ data and social media feeds. What's most important - fans will never need to seek information about their club on any other website again! WHAT ARE THE BENEFITS FOR THE DIFFERENT TYPES OF BETTING SECTOR ORGANIZATIONS?